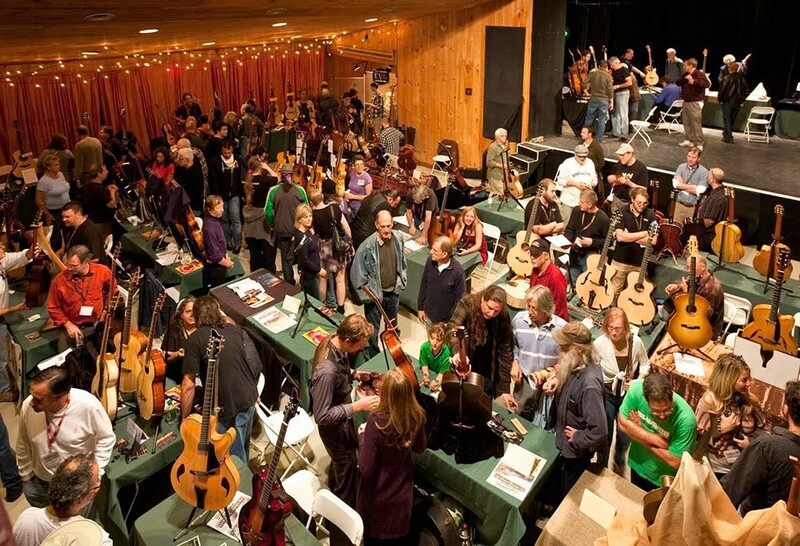 2015 Woodstock Invitational Luthiers Showcase at the Bearsville Theater. Mass-produced, off-the-rack acoustic guitars can be all right. But very few of them can compete with a truly fine handmade instrument—a one-of-a-kind, music-making work of art built by a dedicated luthier using centuries-old techniques passed down by the master makers of old. 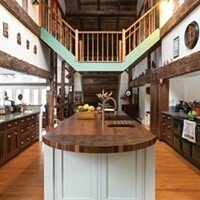 There's a magic in the wood, soaked into it via decades of musical experience, months of monastic workmanship, an abiding appreciation for beauty, and, perhaps more than anything else, a love of the craft. You can feel it in every caress of the varnished neck and body, hear it in every ringing note. To be in a large space filled with such exquisite creations and listen to them being played by some of the world's greatest musicians—and to get to play a few themselves—would make any guitar geek think they'd died and woke up in heaven. That's exactly the vibe the founders of the Woodstock Invitational Luthiers Showcase, which returns to the town this month, were going for, and have maintained, since they launched the festival 10 years ago. Today it's the largest such gathering in North America, attracting attendees from all around the world and appealing to the guitar-curious as well as the connoisseur. "For the first year, we rented the Colony Cafe [now Colony], thinking maybe 40 or 50 people would show up and we had over a hundred," says WILS coproducer Baker Rorick, who plays in local bands the Purple Knif and the Sunburst Brothers, has a background as a sales rep for ESP Guitars, and writes for guitar magazines. "We ended up moving it to the Bearsville Theater in 2009, and it's just grown and grown every year since then. Last year we had 2,000 people." Although there are nearly 80 master luthiers, vendors, and other exhibitors showing at this year's exposition, the three-day event's roster isn't open to just anyone who can string together an instrument. "The lineup is juried," Rorick explains, referring to the "invitational" component of the name. "Exhibitors have to apply, and we only take the best ones. 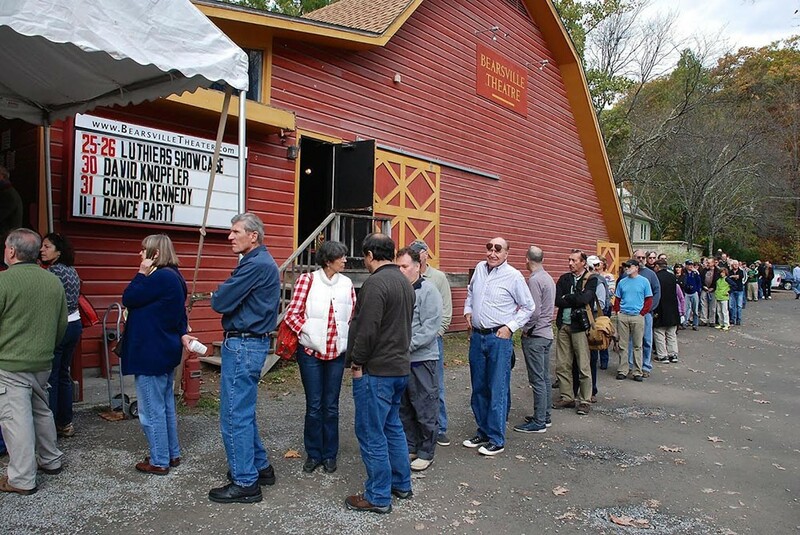 At this point, there's a three-year waiting list of accepted luthiers who want to show here; even though the Bearsville Theater is a huge space, there's still only so much room, so we can't have everybody, every time. We rotate the lineup every few years to keep it from being the same exhibitors over and over again, and we strive for diversity and give preference to instrument makers from overseas. It's not only guitar makers at the showcase: There are violin makers, ukulele makers, banjo makers—even oud and saz makers. Prices can go from $3,000 for a custom ukulele to guitars in the $20,000-to-$30,000 range. We added it up last year and we had over $2 million worth of instruments on view." 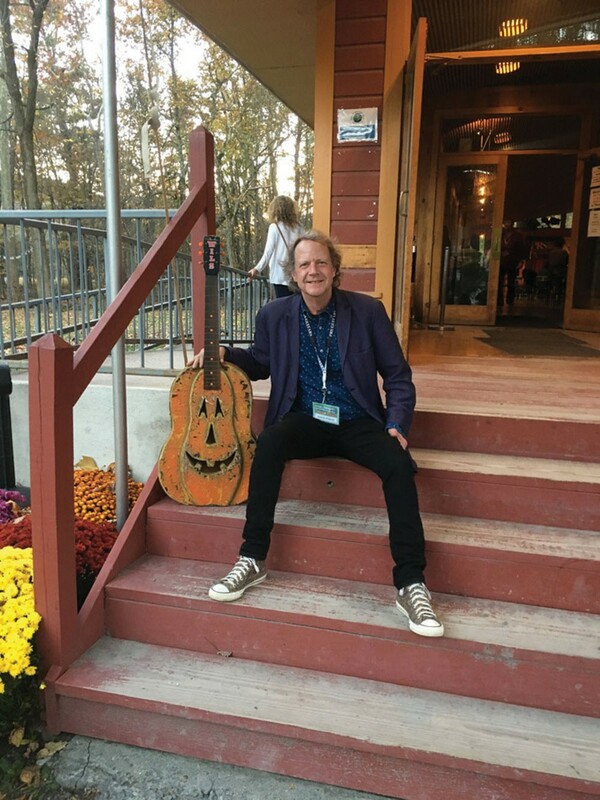 The largely volunteer-staffed festival is pure Woodstock, combining the area's renowned love of music—acoustic-based music, in particular—with art and traditional crafts, all in a typically local, picture-perfect rustic setting. 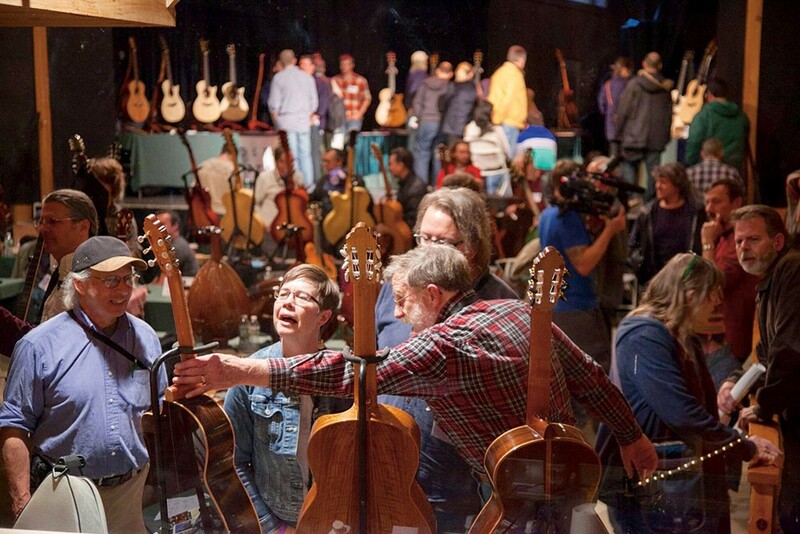 In addition to ogling and playing the dazzling wares of the participating luthiers, eventgoers can meet with them, one-one-one, to discuss commissioning a customized instrument, and attend workshops, talks, clinics (Happy Traum and Rory Block are among this year's instructors); the Tonewood Festival, where vendors sell the finest woods and other components; and mini-concerts and demonstrations by select luthiers. Headline performances steps away at Utopia Soundstage (Todd Rundgren's former studio) include sets by John Sebastian, Larry Campbell and Teresa Williams, Rory Block and Cindy Cashdollar, and others. A kickoff concert at Colony on October 25, the night before the official start of the showcase, features the Martin Guitars-sponsored duo of Cathy Fink and Marcy Marxer plus guests Mary Flower, Tony McManus, and Julia Toaspern. The crown-jewel live event is the October 27 String Sampler Concert at the Woodstock Playhouse, which stars Nashville's rising, all-female roots quartet Della Mae; flamenco and Spanish classical virtuoso Maria Zemantauski and her Maria Z Ensemble; and fingerstyle champion Michael Chapdelaine, a student of Andres Segovia himself. 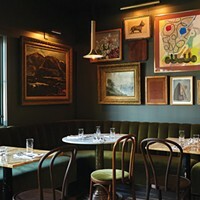 An informal jam among lingering luthiers and attendees at the Landau Grill on Mill Hill Road the evening of October 28 traditionally ends the fest on a freewheeling note. But while the exceptional live music is part of WILS's draw, of course it's the instruments and their makers that remain the focus. And this year the focus of that focus, if you will, is on the women in the guitar world. Along with the abundance of female musicians mentioned above, the happening's handpicked cast of featured instrument makers boasts a formidable list of lady luthiers that includes greats like Linda Manzer, Kathy Wingert, Joshia de Jonge, and others. This grouping is no accident, says Rorick. "I was at another guitar festival, last year, and it hit me how the scene there was kind of a boys' club—too much testosterone," the organizer recalls. "That got me thinking about the #MeToo movement, and then [Rorick's production partner] Mark Heller and I started talking about what we could do to honor that. So, for this year we have 16 women luthiers booked, from all around the world." Part of the themed program is a presentation by guitarist and author John Thomas on his book The Kalamazoo Gals, which chronicles the vital work and lives of the women who built Gibson's now-coveted "Banner" guitars during World War II. Jon Sebastian “test-driving” a Kinnaird at the 2017 Showcase. "I'm really thrilled that [the festival's organizers] decided to celebrate the women in our industry, because there's so few of us," says Linda Manzer, who lives in Canada and whose guitars are owned by Carlos Santana, Pat Metheny, Paul Simon, Gordon Lightfoot, and other prominent players. "Being one of the very first, I remember a time when I was the only female guitar maker, and I am delighted that more and more women are entering the field. A hundred years ago, it would've been impossible for me to have this career. I've been to almost every show. Sometimes I just come all the way to the show even though I'm not showing guitars, just because it's fun to be there. It's a great hang. Plus, there's oodles of amazing musicians wandering around." Indeed: In 2017 Steve Miller, who's purchased guitars from area maker Joe Veillette, surprised festivalgoers by dropping by for a jam. Two other signature facets of WILS are its yearly awards presentations, which recognize accomplished members of the field, and its daily charity raffles of musical gear, which benefit the local John Herald Fund and Family of Woodstock. "One of our goals with the showcase as we move forward is to is to do things that encompass the community more," says Heller. "We want to be able to offer more public concerts and other free events." "When you're working with wood, trying to create a tool that creates musical magic, you have to be really honest with yourself to get a good result," Manzer says. "And that usually means you're a very grounded human being with a good sense of humor. 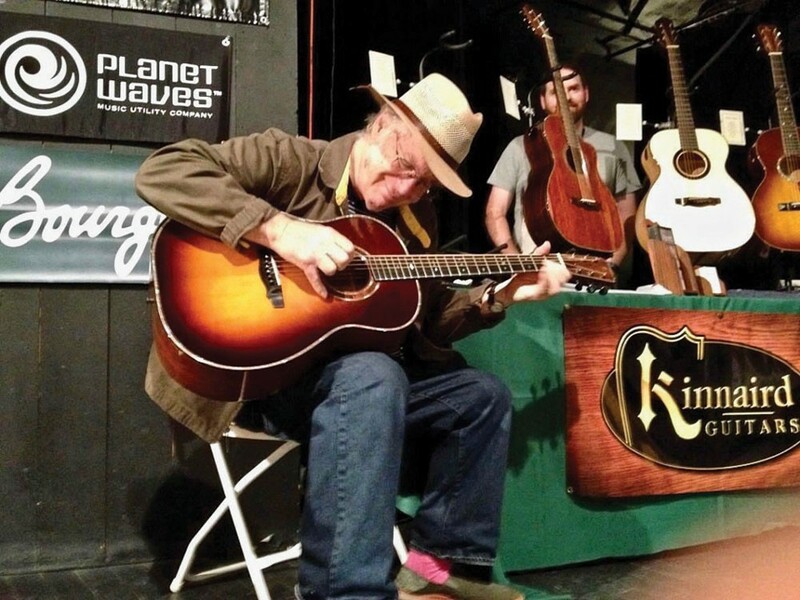 Guitar makers are some of the finest human beings I've ever met." The Woodstock Invitational Luthiers Showcase will take place at the Bearsville Theater/Utopia Soundstage complex on October 26, 27, and 28.